In 2016, Hidden Figures shared with audiences a story we should known decades ago: that dozens of black women, including mathematician Katherine Johnson, engineer Mary Jackson, and computer specialist Dorothy Vaughan, worked for NASA during the space race with the USSR and helped American astronauts like John Glenn reach the moon. That is awesome and inspirational! We never learned that in school textbooks! The movie, starring Taraji P. Henson, Janelle Monae, Octavia Spencer, and Mahershala Ali, was great! 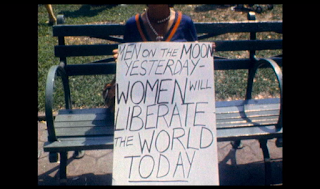 And now the documentary Mercury 13 offers another bit of space race history that you may not know, and that is as infuriating as the racism and dismissal faced by the women in Hidden Figures: that 13 women were identified as being physically and mentally suitable to be U.S. astronauts, and NASA refused. “It was a good old boy network, and there was no such thing as a good old girl network” says one of the women interviewed in Mercury 13, currently airing on Netflix. The original Netflix documentary from filmmakers David Sington and Heather Walsh focuses on Project Mercury, NASA’s program to send a man into space, which began in 1958. The men were subjected to a series of strenuous physical and mental tests administered by physician and surgeon William Randolph Lovelace, and when the seven participants were selected, many of the Mercury 7 would go on to become household names, like Glenn. 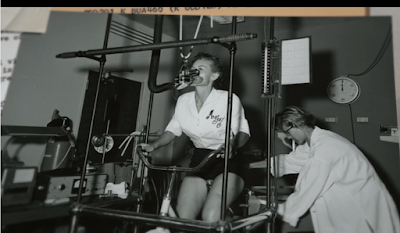 But at the same time, Lovelace was also putting out a call for women to take the same tests. Mercury 13 puts a spotlight on Lovelace’s daughter, Jackie Lovelace Johnson, who remembers the Mercury 7 coming to her home for dinner and shares how her father, after spending time with the selected men, began to feel strongly about having a group of female astronauts as well. So he invited more than two dozen women who were decorated pilots to take the test at his clinic, without the knowledge of NASA or the U.S. government, to determine whether his hunch that women would have some stronger physical and emotional attributes than men was correct. And the women, enthralled with the idea of getting to space, were thrilled to be there. Mercury 13 features interviews with a number of them: Wally Funk, of the “good old girl network” quote, who talks about feeling her most free at 20 years old in California, flying her own plane; Rhea Woltman, who shares that her parents didn’t like the idea of her becoming a pilot, but she “knew better” and did it anyway; and Sarah Ratley, who shares the story of her first flight as being the first “new adventure” of many. Also included are Bob Steadman, husband of the late “B” Steadman, whose accomplishments he speaks of with deep pride and love, and Jim and Ann Hart, two of the eight children of pilot Janey Hart, whom they refer to as “Mother” while speaking of her determination and pluck. 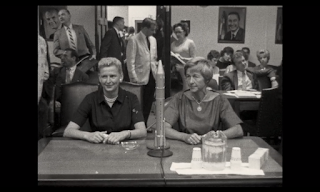 How the dreams of the Mercury 13 ended isn’t necessarily a surprise, but the documentary effectively links the story to more-recent times by tracking how the experiences of these women, including their testifying before Congress, shaped the future of NASA and the astronaut program in years to come. 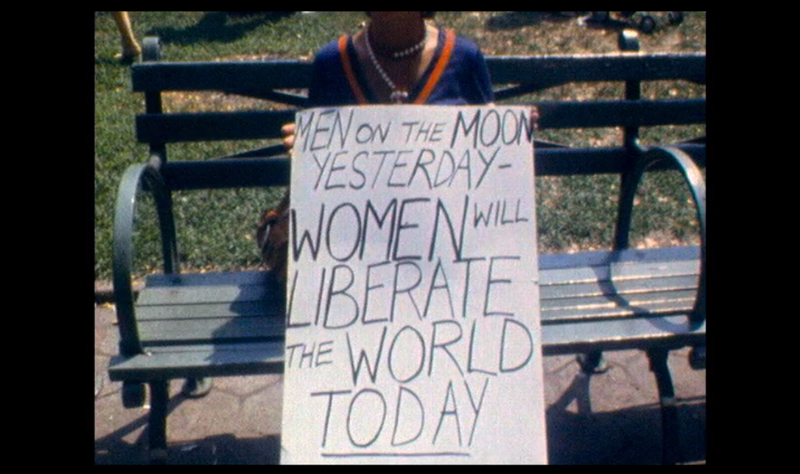 But what is a little lacking is that the film doesn’t include any commentary from NASA or any government officials; none of the people the women identify as standing in the way of the Mercury 13 is questioned. It’s enlightening to hear their opinions on the Mercury 7—especially their sexist stories about Glenn, who was portrayed so positively in Hidden Figures—but disappointing that the filmmakers don’t take the next step of interrogating the individuals who let sexism get in the way of progress. Nevertheless, Mercury 13 is a must-see for anyone who saw and enjoyed Hidden Figures, and who may not have known about the contributions of these women to our space race success. They were denied an opportunity that could have changed American society for decades afterward, and their story needs to be known.